राजाराम ने 11 नवंबर 1689 को जिंजी पर किले का कब्ज़ा किया, लेकिन 16 9 8 में गिरने से पहले ही छोड़ दिया, सातारा किले में अपनी अदालत की स्थापना की। उस अवधि के दौरान जब जिंजी अविनाशी बने, "निडर मराठा कमांडरों, संताजी घोरपड़े और धनाजी जाधव ने, मुगल सेनापतियों को पराजित करके और संचार की अपनी सीमाओं को तोड़ने के द्वारा कर्नाटक और महाराष्ट्र में कहर बरबाद किया।"
Rajaram Raje Bhonsle (24 February 1670 – 3 March 1700 Sinhagad) was the younger son of Maratha ruler Chhatrapati Shivaji, and half-brother of Sambhaji. He took over the Maratha Empire as its third Chhatrapati after his brother's death at the hands of the Mughal emperor, Aurangzeb in 1689. He had a very short reign, during which he was engaged in a struggle with the Mughals. 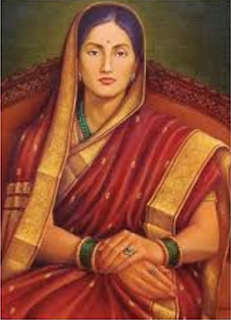 Rajaram was born to Shivaji and his younger wife, Soyarabai on 24 February, 1670. He was thirteen years younger than his brother, Sambhaji. Given the unstable character of the heir-apparent, Sambhaji, and the ambitious nature of Soyarabai, Rajaram was installed on the Maratha throne upon the death of his father in 1680. However, Sambhaji quickly won over the Maratha generals to his side and claimed the throne. Rajaram and Soyarabai were imprisoned and their advisers eliminated.Rajaram remained a prisoner of Sambhaji until 1689 when Sambhaji was captured and executed by the Mughals and his family taken prisoner. Rajaram subsequently succeeded Sambhaji as the head of the Maratha state. Rajaram married three times. His first marriage was at the age of ten to Jankibai, the five-year-old daughter of Shivaji's army chief, Prataprao Gujjar.His other wives were Tarabai, the daughter of Hambirrao Mohite, the army chief who succeeded Prataprao, and Rajasbai from the influential Ghatge family of Kagal. Rajaram had three sons, Raja Karna, born out of wedlock to a slave-woman, Shivaji II with Tarabai, and Sambhaji II with Rajasbai. After the death of Sambhaji, Rajaram was crowned at Raigad on 12 March 1689. As the Mughals started laying siege to the region around Raigad on 25 March 1689, the widow of Sambhaji, Maharani Yesubai and her minister Ramchandra Pant Amatya sent young Rajaram to the stronghold of Pratapgad through Kavlya ghat. The Maratha army fought with the Mughals and led the new Maratha king, Rajaram to escape through Kavlya ghat to the fort of Jinji in present-day state of Tamil Nadu via Pratapgad and Vishalgad forts, Rajaram reached Keladi in disguise and sought refuge from Keladi Chennamma - The brave queen fought the Mughals and ensured safe passage and escape of Rajaram to Jinji, Keladi Chennamma fought the jungle warfare which frustrated the Mughals and the Mughals proposed peace accord for the first time with an Indian ruler, Keladi Chennamma ensured safe travel of Rajaram to jingi by fighting the mughals where he reached after a month and a half long journey on 1 November 1689.Details of this escape are known from the incomplete poetical biography of Rajaram, the Rajaramacharita written by his Rajpurohit, Keshav Pandit, in Sanskrit. Aurangzeb deputed Ghazi-ud-din Firoze Jung against the Marathas in the Deccan, and specially sent Zulfiqar Khan Nusrat Jung to capture the Jingi Fort. He laid siege to it in September, 1690. After three failed attempts, it was finally captured after seven years on 8 January 1698. 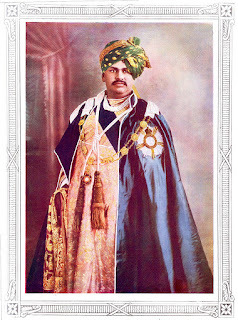 Rajaram, however, escaped and fled first to Vellore and later to Vishalgarh. Rajaram occupied the fort at Jinji from 11 Nov. 1689, but left before it fell in 1698, setting up his court at fort Satara. During that period when Jinji remained unconquered, "the intrepid Maratha commanders, Santaji Ghorpade and Dhanaji Jadhav, wrought havoc in the Karnataka and Maharashtra by defeating the Mughal generals and cutting off their lines of communication." A memorial atop Sinhgad Fort marking the place of death of Rajaram. Rajaram died of lung disease in 1700 at Sinhagad near Pune in Maharashtra leaving behind widows and infants. Ambikabai one of his widows, committed Sati upon Rajaram's death.Another of Rajaram's widows, Tarabai proclaimed her young son, Shivaji II as the Chhatrapati and ruled as his regent. However, the release of Shahu, by the successors of Aurangzeb led to an internecine conflict between Tarabai and Shahu with the latter becoming the winner and occupant of the throne.Tarabai established a separate seat at Kolhapur and installed her son as the rival chhtrapati. She was shortly deposed by Rajasbai, the other surviving widow of Rajaram. Rajasbai installed the other son of Rajaram called Sambhaji II on the Kolhapur throne. The Kolhapur line has continued to this day through natural succession and adoptions per Hindu custom.